“Yes”, they said a flag. Splendid said we, being amateur vexillologists. 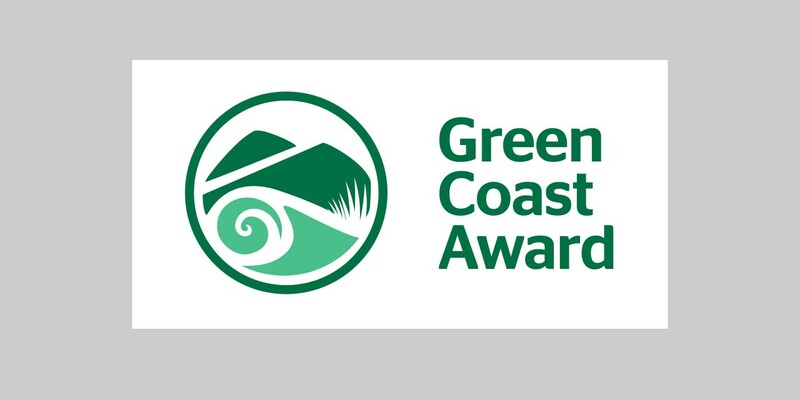 So we made a logo that’s primarily used on flags, it’s the Green Coast Award. The Green Coast awards aim is to recognise beaches of high environmental quality. To achieve the award, beaches must have excellent water quality and have effective management to ensure the protection of the natural environment. Co-operation with the local community is key as is maintaining bio-diversity so the grass in the dunes is as important as the sand on the beach. It’s an inter European regional award so it’s The Green Coast Award is also run in Northern Ireland by Keep Northern Ireland Beautiful and in Wales by Keep Wales Tidy. Brexit will probably put paid to that.